We offer a choice of spa packages that let us pamper you. An indulgence guaranteed to leave you feeling and looking completely calm, nurtured and rejuvenated. For that special someone, or personal renewal. The rejuvenator includes an intensive 1 hour facial, lash/brow tint, back massage using aromatherapy oils, luxurious manicure and pedi-spa treatment. You will be served with tea, coffee or fresh juice while you are being pampered. The ultimate hydradermie facial, with lash and brow tint. Full body scrub and moisturise treatment, European manicure and European pedi-spa treatment. You will be served with tea, coffee or fresh juice while you are being pampered. Incorporating a combination of massage techniques to treat sports people and athletes. It promotes fitness and good health to achieve optimum performance and recovery from injury. Encourages greater flexibility, improves muscle tone and enhanced work-out performance. A nurturing therapeutic massage combined with the powerful healing properties of pure essential oils. These pure oils are blended to suit your individual needs, promoting harmony within every system of the body and encouraging healing and relaxation. Includes a half hour aromatherapy facial massage. A firm yet soothing Swedish massage will help you to relax. It calms the nervous system which in turn reduces tension and alienates stress, as well as benefiting your whole circulation, your skin and tired aching muscles. A good introduction for people who are new to massage. Recognises your individual Energy Patterns and restores you back to your true self. Healing the Energy Pattern clears blocked energy caused by the many stresses that we can experience on a daily level. Manaki Bodywork encompasses four different healing treatments. Your practicianer will advise which of these treatments will be the most suited to your needs. A relaxing massage of the upper back, shoulders, neck and face. Gives instant relief from tension and stress symptoms. 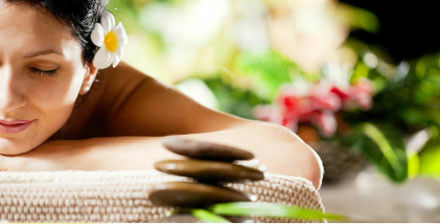 Make your selection from the Spa Treatments listed – under Treatments.